Julius manages one of Prudential’s largest branches in Kenya. Finding young people with the skills and personal drive to sell life insurance was always a challenge—until Prudential partnered with Generation. Julius has found Generation graduates to be well-prepared, well-presented, and driven by entrepreneurial energy. They make many more sales than other recruits do. For years, Prudential would bring in large numbers of recruits and spend time and energy training them as insurance salespeople—but they had a very low success rate. “People would come in their masses. We’d take them through the business opportunity and how to go out and sell. But out of that big group, we’d soon be left with only three or four people.” Generation has helped solve that problem—in a few important ways. Generation has had impact where it matters most: the bottom line. Julius says the typical Generation graduate closes one sale for every five customers they approach—compared to as many as one in 20 for other agents. Generation graduates are also helping Prudential expand its customer base. “They’re taking insurance well outside the city, into rural villages. 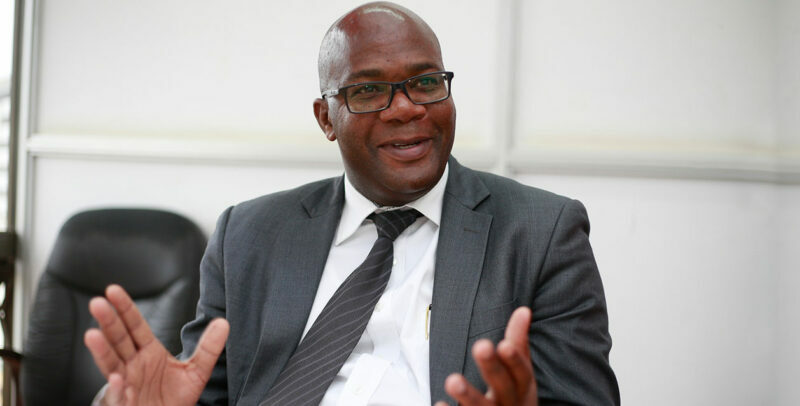 They’ve helped us to penetrate the market in areas that we’d not been able to reach.” That makes him upbeat about his industry’s future: Julius believes insurance penetration in Kenya could double by 2020.